If you were of the thought that modern cocktails were the only drinks that have interesting flavors and unique garnishes, allow me to introduce you the Biltmore. This is a classic gin martini that pairs sweet vermouth and fresh pineapple with just a hint of maraschino to create an interesting little drink. 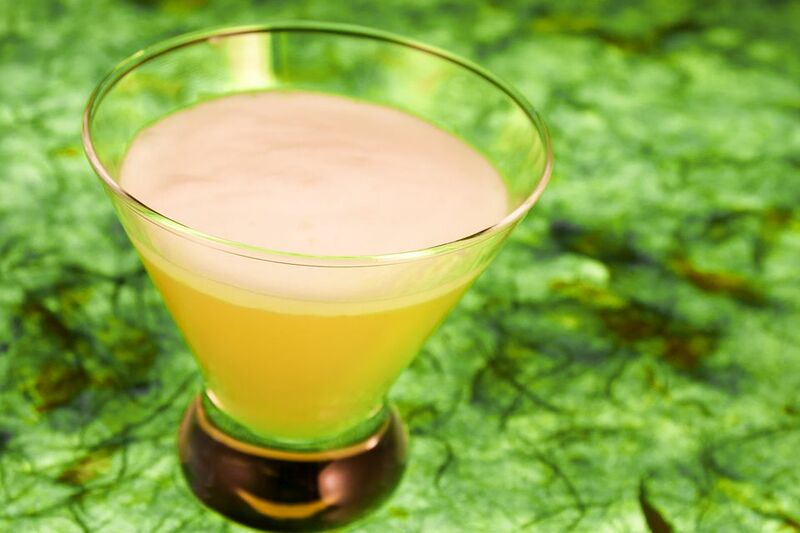 This recipe is adapted from the 1936 edition of Just Cocktails and it caught my eye because of both the fresh pineapple and the maraschino-soaked hazelnut. As happens many times in vintage bartending guides, the recipe was a little vague on preparation. While interpreting it, I decided to recommend that the 'pineapple chunk' be muddled to release most of its fresh juice, then the drink shaken to ensure a nicely balanced mix. Soak a hazelnut in maraschino liqueur for at least 2 hours (if time allows 24 hours is ideal). Add the gin, vermouth and maraschino and fill with ice. Strain the hazelnut from the liqueur and drop in the glass for a garnish.